Was browsing Pinterest (do you pronounce it as pin-terest or pin-interest? I mispronounced it as pin-interest for so long that I can’t correct myself anymore 😛 ) for breakfast ideas last weekend and stumbled on a sausage patties pin. 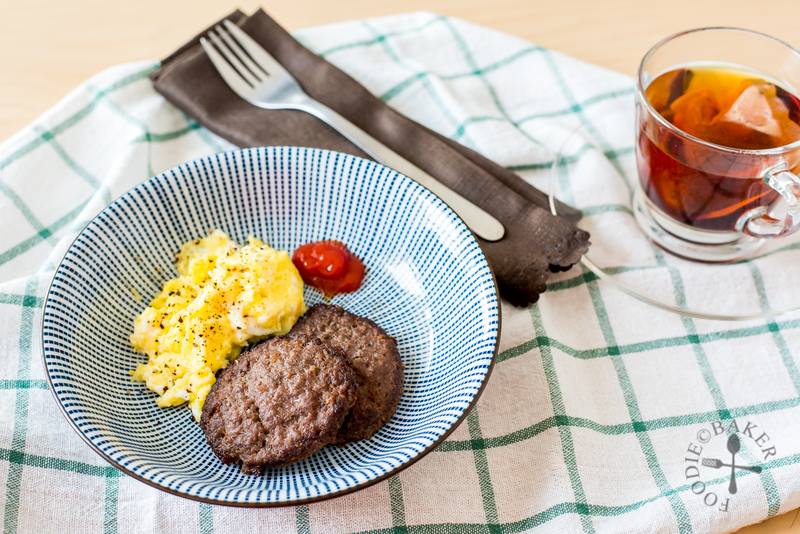 It brought back childhood memories of a particular popular fast food chain’s breakfast menu – though I can never swallow another mouth of their rubbery scrambled eggs now – so I made it for brunch that day! I used 100% minced beef for the sausage patties, though 100% minced pork or a mix of beef and pork will be perfect too. The only key is to make sure the meat contains about some fat because fat = juiciness. For the seasoning, I followed my homemade freeform pork sausages recipe, but substituting fresh herbs with dried herbs and maple syrup with sugar. I marinated the mixture for only 1 hour due to lack of time but it’s best to let the flavours mingle and develop overnight in the refrigerator, if you have the time! The marinated sausage mixture is then rolled and stamped out with a cookie cutter, because the OCD in me wanted the sausage patties to be equal in size and round (though they still became a little distorted when I slide them onto the frying pan). Overall, the sausage patties are extremely easy to make and taste incredibly delicious and flavourful. The seasoning can be adapted to whatever you have on hand, making the recipe very versatile. 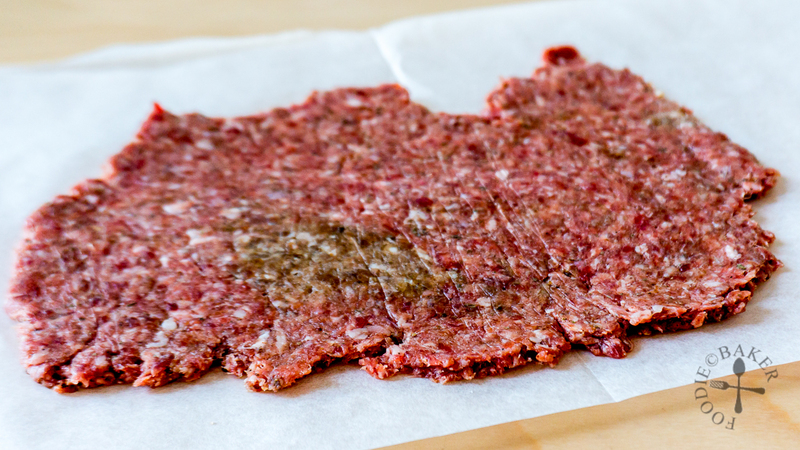 Though the rolling and cutting may take some time, a huge batch of patties can be made in advance and frozen, so I can cut down the prep time for the next meal! Definitely my go-to recipe if I don’t want to have bacon or hot dogs for brunch next time! Marinate the sausage mixture for at least one hour, preferably overnight. 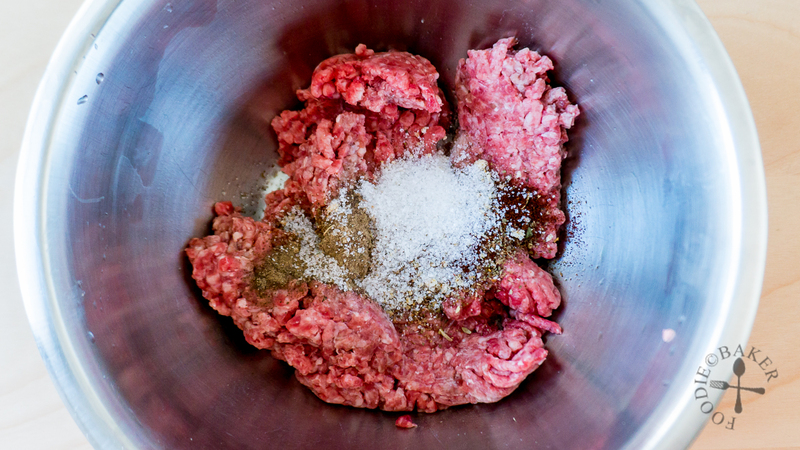 Roll out the sausage mixture into 0.5-cm (1/4-inch thick). 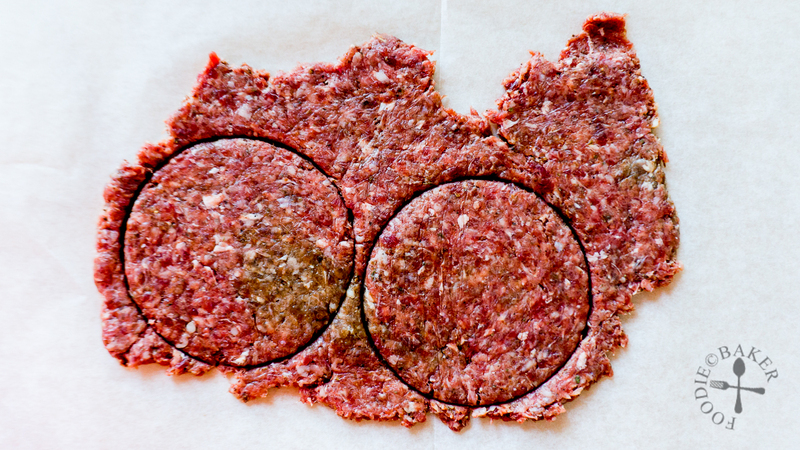 Use a cookie cutter and cut out rounds (note sausage patties will shrink after cooking). 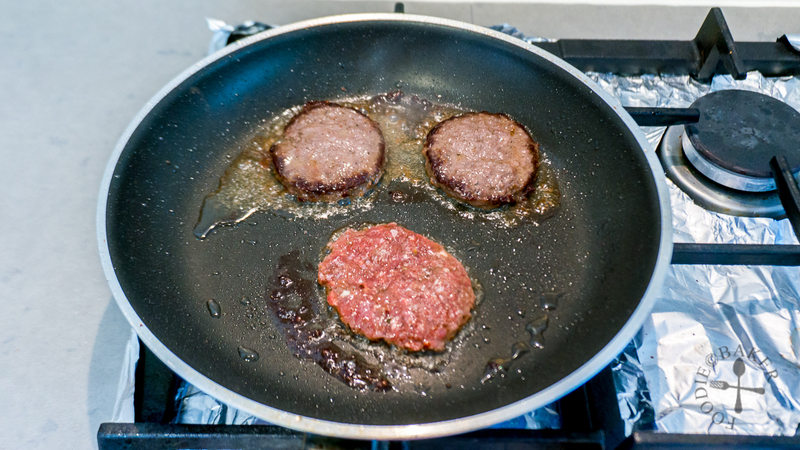 Pan-fry the sausage patties until browned and cooked through – because the patties are thin, they cook really quickly! 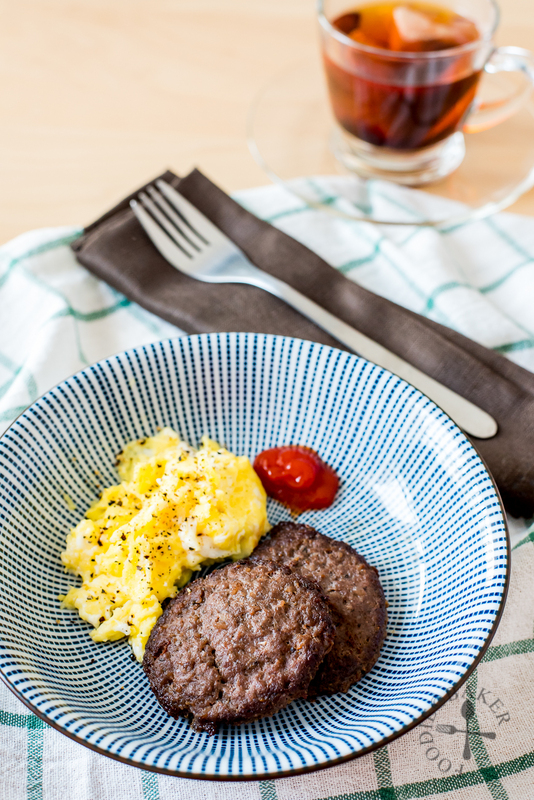 Enjoy the sausage patties – Big Breakfast style! Combine all the ingredients together in a mixing bowl. Mix well with a spoon or with your clean hand. Cover the bowl with clingfilm and refrigerate for at least 1 hour, preferably overnight. Take out the sausage mixture from the refrigerator and using your hand, stir and squeeze the sausage mixture until the mixture is slightly sticky. Alternatively, mix the sausage mixture with a stand mixer fixed with a paddle attachment on medium speed until the mixture is slightly sticky. Transfer the sausage mixture in between 2 sheets of parchment paper and roll it out until it is 0.5-cm (1/4-inch) thick. Use a cookie cutter and cut out rounds (note sausage patties will shrink after cooking). Use a flat spatula and slide underneath the sausage patties, one at a time, and transfer them to the lined baking sheet in a single layer. Gather the meat scraps, roll and repeat until all the meat is used up. Heat a non-stick frying pan over medium-high heat. You won't need any oil as the sausage patties will release oil. Place the sausage patties in a single layer into the frying pan - do not move the sausage patties - and cook until the bottom is browned. Flip the sausage patties and cook on the other side until it is browned and the patty is cooked through. Clean the frying pan if the pan has accumulated too much oil or burnt bits. 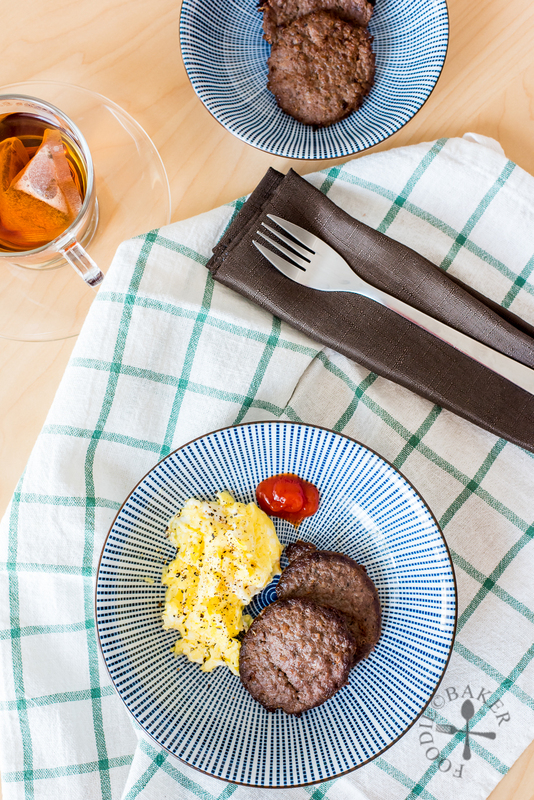 Enjoy the patties with scrambled eggs or a salad! - To freeze: After you have mixed the ingredients together, chill for 1 hour. Squeeze the sausage mixture with your hand until the mixture is slightly sticky. Roll out the sausage mixture, cut out rounds and transfer onto a lined baking sheet in one single layer. Freeze until the sausage patties are firm, about 1 to 2 hours. Transfer the frozen sausage patties into a ziploc bag / airtight container until needed. - To cook frozen sausage patties: Do not thaw the sausage patties. Place the frozen sausage patties on the frying pan and cook over medium heat until browned on both sides and cooked through, reducing the heat if necessary. What a fantastic idea! I love the thought of making these from scratch versus cooking up a pre-made one – I bet the taste difference is off the charts, and so much better for you too! I definitely want to try making these for my bf one morning, as a nice surprise breakfast. Bookmarked! And ps, I always thought I was the only one who pronounced Pinterest as “pin-interest” – now I don’t feel left out! 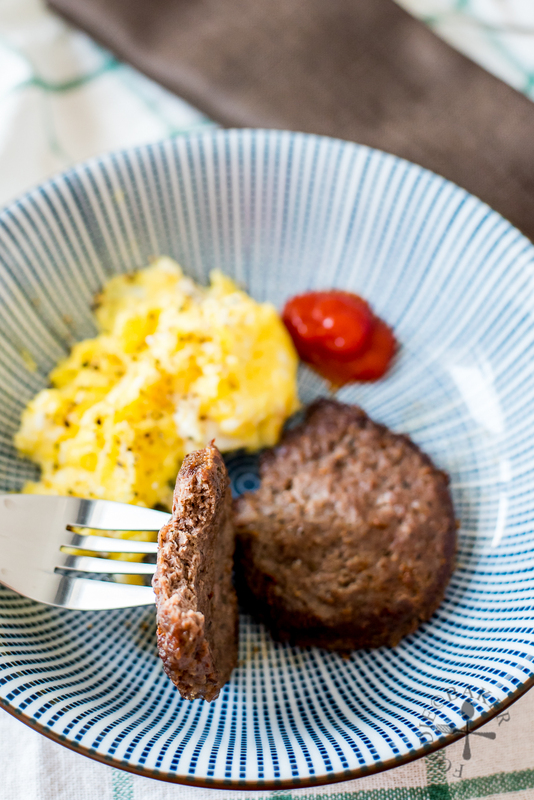 This is just what I need because I’ve been thinking about making breakfast sausage for a long time…no joke! : ) Thanks and will pin to try one day. Great looking breakfast! looks absolutely delicious and love yours photos!